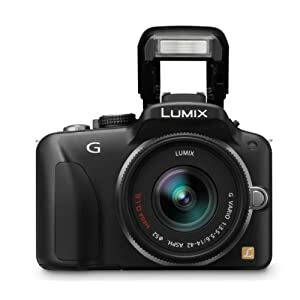 Nice $66 discount on the Panasonic G3 at Amazon! There is now a $66 discount on the black G3 with 14-42mm lens on Amazon (Click here). UPDATE: There is a new deal! The Panasonic 20mm f/1.7 pancake is in Stock for $369 at Amazon (Click here). You can now get the AG-AF100 Micro Four Thirds camcorder with a free (!) 14-140mm zoom lens at BHphoto (Click here). The Black and White Olympus XZ-1 are in Stock for $409 only at Amazon (Click here). The Panasonic 20mm f/1.7 lens is in Stock for $379 via third party resellers on Amazon (Click here). BHphoto sent me an email to say that the very last GH1 cameras are now in Stock (Click here). Once sold out there will be no more GH1 cameras for sale anymore! And if you purchase the GH1 body (for $399) you will get $100 on any Panasonic m43 lens you buy. You have to click on “Save $100 on Select Panasonic Lenses” to see the deal. The same deal is ongoing at Amazon (Click here) and Adorama (Click here). previous post: Olympus refurbished cameras reloaded with new E-450 Komachi kit!! !